We are the only stop in the region to take your prom look to the next level. Why Rent? Own For Less. We are offering $25 off every package. Look your best, and OWN YOUR PROM! 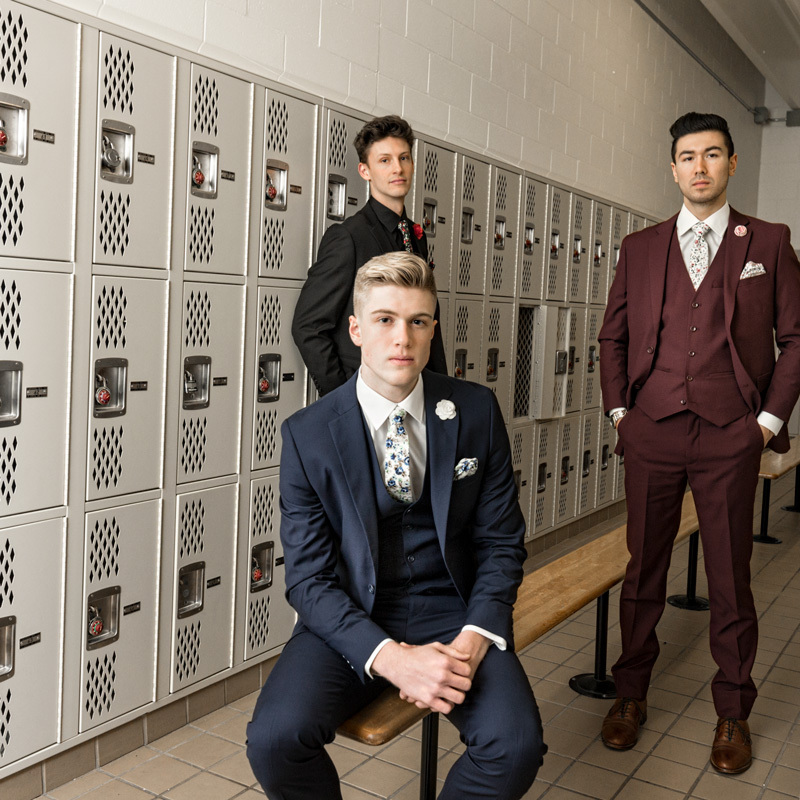 Halberstadt's ND knows exactly what kind of suit you want for your Prom. A suit with style and a custom fit just for you...a suit that hasn't been worn by a bunch of other guys before you. We offer the best Prom Package in the area. For only $199.99, our Prom Package includes the coat, pant, vest, shirt, tie & kerchief. And for anyone who knows even a little bit about menswear, this low Prom Package price is unbelievable. This Prom Package...it's all yours to keep. This isn't a rental, this isn't a 48-hour lease, you own it all. Who says that you should only look your best for one night? In the not-too-distant-future we know you'll need to suit-up again, whether it’s for an interview, for your graduation, or for a random night at Taco Bell - you will always have this fantastic suit to work with. Stay tuned to this page as it will be consistently updated from now until your prom night, and make sure to follow our social sites to be in-the-know with the latest styles.